JANUARY 2018 CAREGIVER OF THE MONTH IS Torainna Hensley! 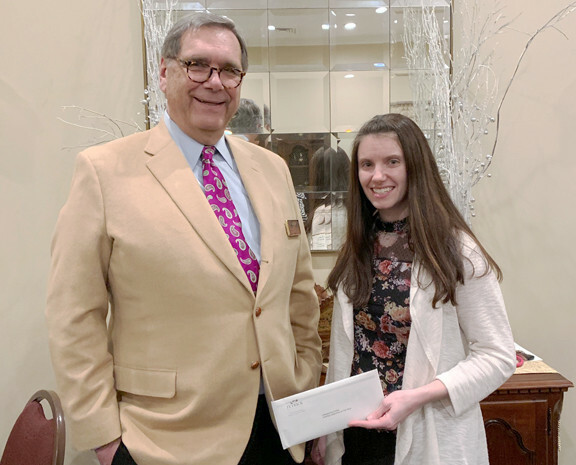 Torainna Hensley, CNA, with Mountain States Health Alliance Hospice in Johnson City, TN is the winner of the JANUARY 2018 Hospice Caregiver Award, presented by Tetrick Funeral & Cremation Services. We want to nominate Torainna Hensley for Caregiver of the Month Award. Torainna has been a blessing to our patients and families since the day she arrived. She is constantly going out of her way and buying patients little gifts to encourage them to take baths. We receive weekly compliments about her and how she is “The best CNA they have ever had.” Many patients will choose to omit their bath if Torainna is off or sick because they trust in the exceptional care they receive from her. Torainna uses many methods to help patients including singing. Torainna uses the gift of singing to help bring peace and comfort to those she touches. Most recently, Torainna was singing in a revival; there she saw the husband of one of her patients. After the revival was over, on her day off, she drove over to the patient’s home and spent time singing with her. Torainna NEVER complains; she wears a smile on her face wherever she goes. Torainna works tirelessly every day for her patients. Please consider Torainna for this nomination. She is truly a one-of-a-kind caregiver and we are daily blessed by her. Congratulations, Torainna, for a job well done! FEBRUARY 2018 CAREGIVER OF THE MONTH IS KIERSTEN HARRIS! 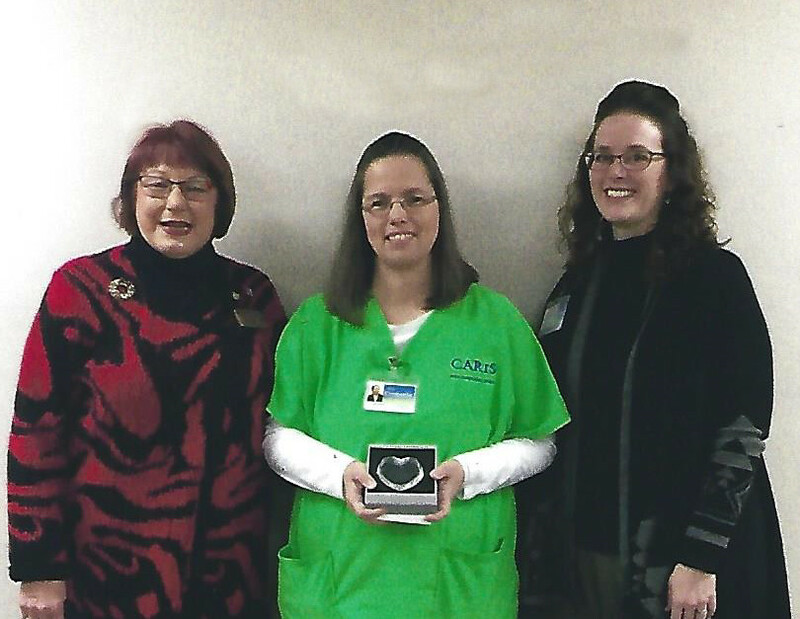 KIERSTEN HARRIS, RN with Avalon Hospice in Kingsport, TN is the winner of the FEBRUARY 2018 Hospice Caregiver Award, presented by Oak Hill Funeral & Cremation Services. I would like to nominate Kiersten Harris for Caregiver of the Month Award. She was so attentive not only to my husband but to me and our entire family. She kept us informed all along. Kiersten took late night calls and was here within minutes to help me if I needed her. She was so kind to us and so complete in her work. She was very kind to my husband and he trusted her. When my husband passed away, she was here and took care of all of the telephone calls that were needed to be made and thoroughly did all of the paperwork so that everything was in order. This was such a blessing and help for me. Congratulations Kiersten for a job well done! MARCH 2018 CAREGIVER OF THE MONTH IS SHIRLEY BENNETT! 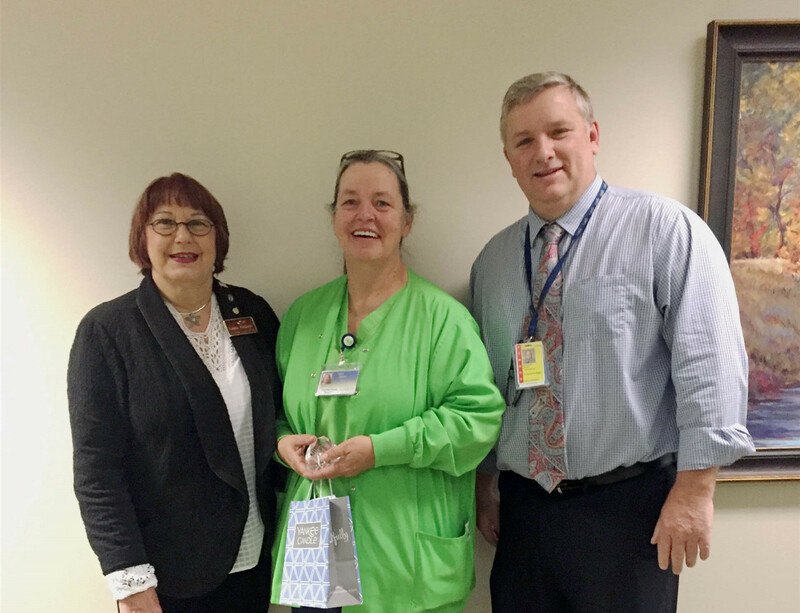 SHIRLEY BENNETT, CNA with Caris Hospice in Johnson City, TN is the winner of the MARCH 2018 Hospice Caregiver Award, presented by Tetrick Funeral & Cremation Services. Shirley was assigned to my parents, George and Edna Williams, through Caris of Johnson City, TN. The whole family liked her from Day One. She didn’t rush through her visit with them, she was very patient, and learned their wants and needs. She went above and beyond to make sure they were pampered and felt at ease. Shirley always brought calmness and goodness. Before she got to the house, she would stop at Hardee’s and get Mom and Dad’s favorite biscuits for breakfast. After they moved to Brookdale in Johnson City, Shirley continued to spoil them in her own special way. Dad passed away 1/15/2017 and Mom followed him in death on 2/7/2017. Mom was non-responsive for several days before she died, and Shirley knew how important it was to Mom to have a bath, fresh clothes, and her nails polished. Shirley made sure that happened for her until the very end. Shirley did so much for them! She was truly heaven sent. She attended both funerals. Shirley genuinely cares deeply for her patients and I would like to nominate her for Hospice Caregiver of the Month Award! Shirley was a very loving and caring provider of care for my Mother and for our entire family. She went above and beyond for my Mother and our entire family and we could never say how much we appreciate her for words cannot express our gratitude to her. She is so deserving of this award! Congratulations Shirley for a job well done! APRIL 2018 CAREGIVER OF THE MONTH IS LORI LIGON! Lori Ligon, RN with Amedisys Hospice in Elizabethton, TN is the winner of the April 2018 Hospice Caregiver Award, presented by Tetrick Funeral Home. 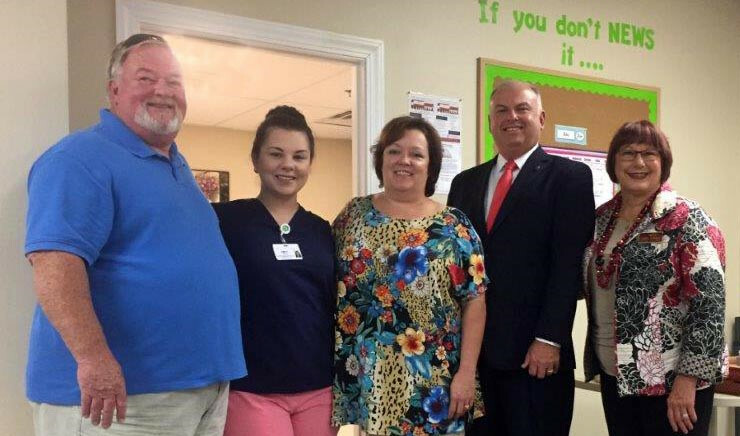 Amedisys and Lori Ligon went above and beyond to help take care of my Father, John W. Kemp, Jr. The last days before his passing were spent not only taking care of my Dad but seeing to the needs of the family also. She informed us of every detail of the process to help ease his final moments here on earth. No more pain for now he’s painting the skies of heaven. She not only did her job; she anticipated needs far in advance. She knew that for Mama to trust her that she had to open herself up to a friendship. Lori put her whole heart into caring for Mama. She also helped to prepare us for all outcomes. Lori was honest but tactful. She laughed and cried with us. Lori was efficient and proficient, stern and soft. Her presence filled the whole house with light and love. Thirdly, William V. Jackson said Lori went above and beyond caring for my Father, William V. Jackson. During Hospice and after his death, her advise and calm efficiency took us through many difficult times with love and concern. My Father’s care could not have been any better. My thanks, Lori! Congratulations Lori for a job well done! MAY 2018 CAREGIVER OF THE MONTH IS CANDICE GREENLEE! 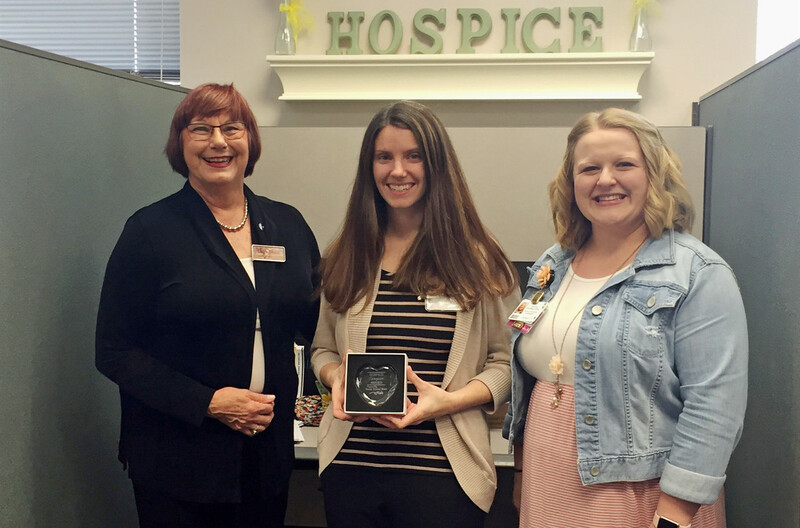 CANDICE GREENLEE, RN, Hospice Director with Mountain States Health Alliance in Johnson City, TN is the winner of the MAY 2018 Hospice Caregiver Award, presented by Tetrick Funeral & Cremation Services. I am nominating my hospice director Candice Greenlee, RN for her compassionate care and going above and beyond recently for one of our hospice patients. We recently were caring for a young man in his 30’s with glioblastoma. He was living here while the majority of his family lived in his hometown of Las Vegas, NV. He declined in status and was unable to walk any longer and was living in a long term care facility. He desperately wanted to move to Vegas to be with his young son. He made a plan and attempted to get there but was unable to because of his weakness. Instead of just simply saying, “O well! That is terrible,” Candice went to great lengths to make this patient’s dream a reality. She went to her superiors and got approval to have him accompanied by a physical therapist and she arranged flights, medications, and a receiving hospice to care for him once he arrived. She made sure that every little detail was accomplished. She made him a care package with his favorite M&M’s and a prayer blanket for his journey. This all seemed so impossible to our team but not to Candice. She made sure that every possible detail was meticulously planned and the young man did in fact make it to Las Vegas safely and is with his family for his final days. Hospice is a holistic approach to care and Candice exemplified this and worked very hard to see that this patient lived his final days back in his hometown with his family, especially with his young son. Congratulations Candice for a job exceptionally well done! 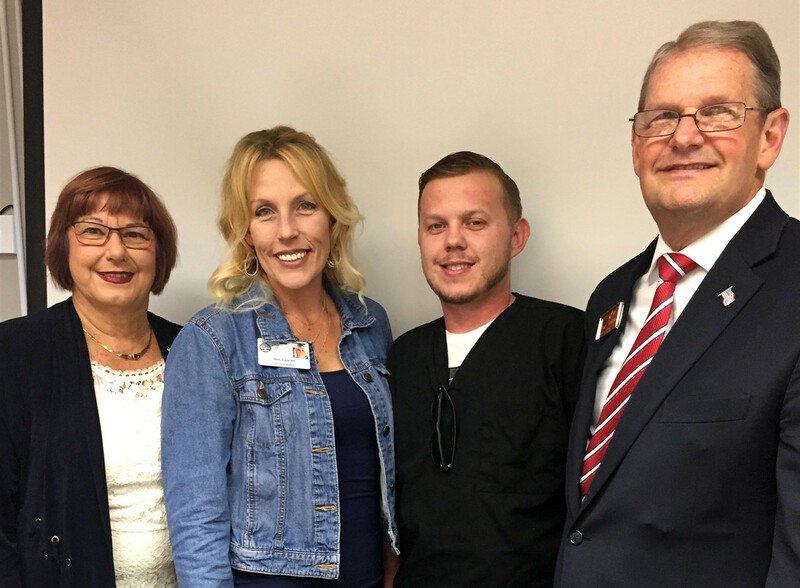 JUNE 2018 CAREGIVER OF THE MONTH IS DANIEL WHITE! 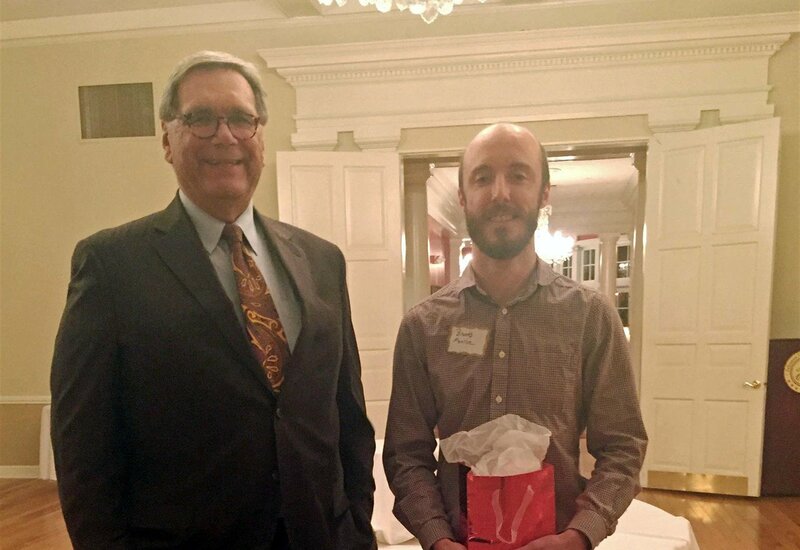 DANIEL WHITE, RN with Avalon Hospice in Kingsport, TN is the winner of the JUNE 2018 Hospice Caregiver Award, presented by Oak Hill Funeral & Cremation Services. Donna Light whose Father Daniel took care of says, “Daniel developed a loving and caring relationship with my Father early on. My Dad trusted him with his care like he trusted very few people! Daniel showed concern and love to both of my parents and took time to listen to each. He also detected my Mom was in distress and encouraged me to get her to a doctor where we found she had afib. Daniel definitely has a calling to work in this profession and will never know or understand the encouragement and peace he brought to our entire family. He has gone above and beyond in his position in caring for my Father. Daniel was always patient and attentive to my Mother as well. We would love for him to be part of our family! Dad trusted that when it was his time to pass from this world that Daniel would make the right decisions and keep him from suffering. I cannot thank him enough for his care and will forever be grateful to him! I would be grateful if this young man were chosen for Caregiver of the Month. Congratulations Daniel for a job done with excellence! JULY 2018 CAREGIVER OF THE MONTH IS EMILY WHITE! 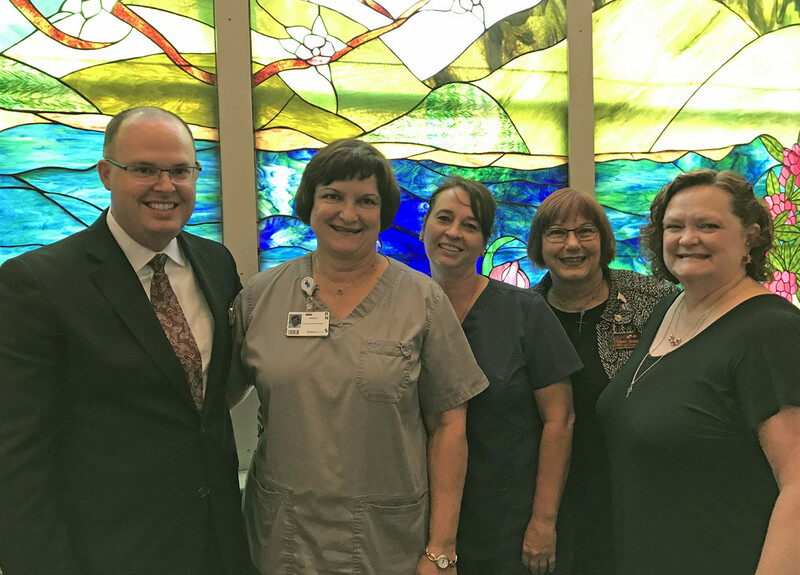 EMILY WHITE, RN, with Amedisys Hospice in Elizabethton, TN is the winner of the July 2018 Hospice Caregiver Award, presented by Tetrick Funeral Home. 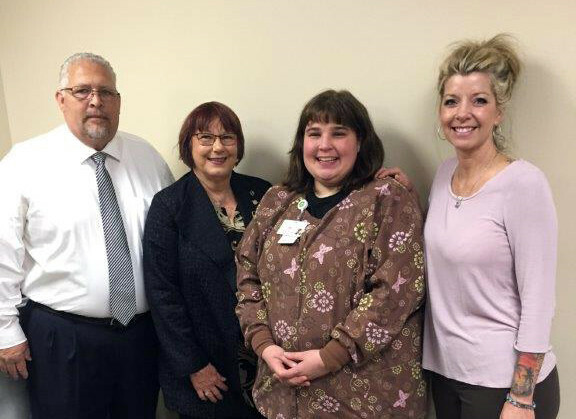 Although Emily White has previously been awarded the Hospice Caregiver of the Month award, six people have nominated her for this honor so we humbly present this award to her. Terisa Simerly is the first person who nominated Emily. She said Emily was very caring and did everything my Momma needed and she showed true compassion for our family. Congratulations Emily for a job exceptionally well done! August 2018 CAREGIVER OF THE MONTH IS Paula Reynolds! Paula Reynolds, RN, with Wellmont Hospice in Bristol, TN is the winner of the August 2018 Hospice Caregiver Award, presented by Oakley-Cook Funeral Home & Crematory. “Paula is a special person. She treated Dad with respect and so much dignity! Paula was great with all of the family and even Daddy’s fur babies. She answered all questions and she was so good making sure Dad was comfortable. Paula always talked to Dad and made sure that he had everything he needed. I could go on and on about Paula. Paula is one of a kind and it was a privilege to have her take care of our Dad. Congratulations Paula for a job exceptionally well done! September 2018 CAREGIVER OF THE MONTH IS Robin Coleman! Robin Coleman, CNA with Wellmont Hospice in Bristol, TN is the winner of the September 2018 Hospice Caregiver Award, presented by Oakley-Cook Funeral Home & Crematory. “Robin was always there when we needed her. She brought with her, her smiling face and her love for people. Even when my husband was too sick for her to help him, she came to see him and brought her caring, her compassion, and her prayers for us. She wanted to see him one last time. My husband always looked forward to seeing her. She made him laugh if it was even having him dry his underarms from putting deodorant on by flapping his arms like a chicken raises their wings. He loved that! He loved funny things. I could hear them laughing in another room. I often told them that they were having too much fun. When I am in need in my final days, I sure hope Robin can be there for me. She is very deserving of this award. I would love to be there when she is awarded this award. Congratulations Robin for a job exceptionally well done! OCTOBER 2018 CAREGIVER OF THE MONTH IS KIM BYERS! 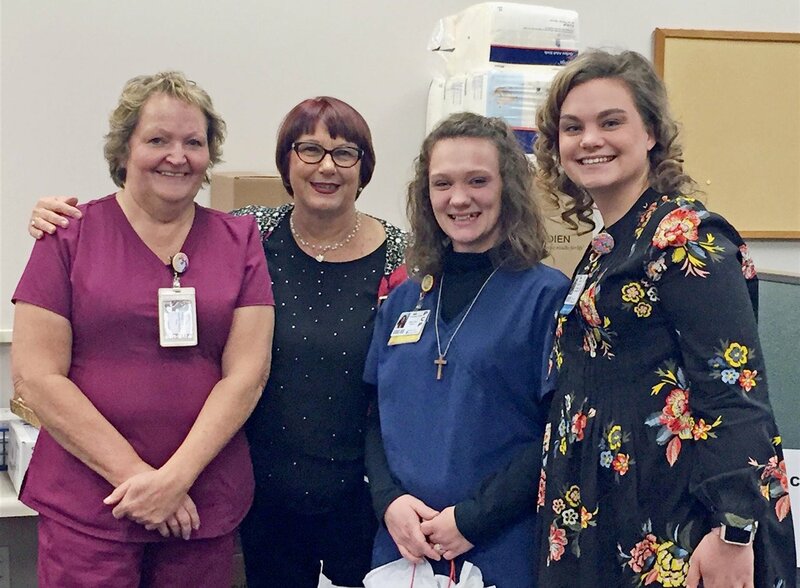 KIM BYERS, CNA with CARIS Hospice in Johnson City, TN is the winner of the October 2018 Hospice Caregiver Award, presented by Tetrick Funeral Services, Johnson City, TN. “Kim constantly z massages were so welcome! Healthcare centers provide good care but don’t have the staffing to do what Kim was able to do. The extra attention made such a difference for her. As her physical condition failed, Kim spent extra time with her. On a particularly bad day, she cared for both of us with such quiet dignity. As is true for many, she has a second job, but she called that employer explaining she needed to be with us. Her comforting presence that day will never be forgotten. Since Mother passed away, she continued to check on me. She became a friend, not just a caregiver. The sense of peace she gave both Mother and me during this very difficult time was such a blessing. Congratulations Kim for a job exceptionally well done! NOVEMBER 2018 CAREGIVER OF THE MONTH IS CATHY MOURNINGS! Cathy Mournings RN with Amedisys Hospice in Kingsport, TN is the winner of the November 2018 Hospice Caregiver Award, presented by Oak Hill Funeral & Cremation Services, Kingsport, TN. Congratulations Cathy for a job exceptionally well done! 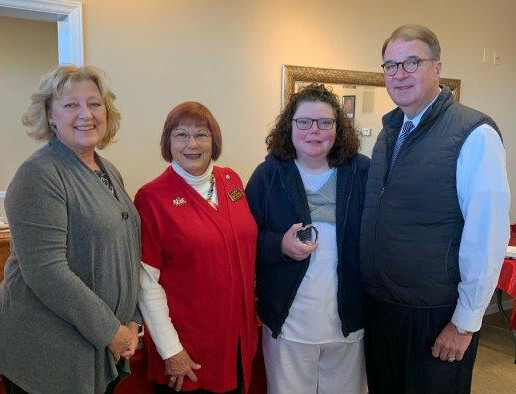 DECEMBER 2018 CAREGIVER OF THE MONTH IS PATSY MOSLEY! 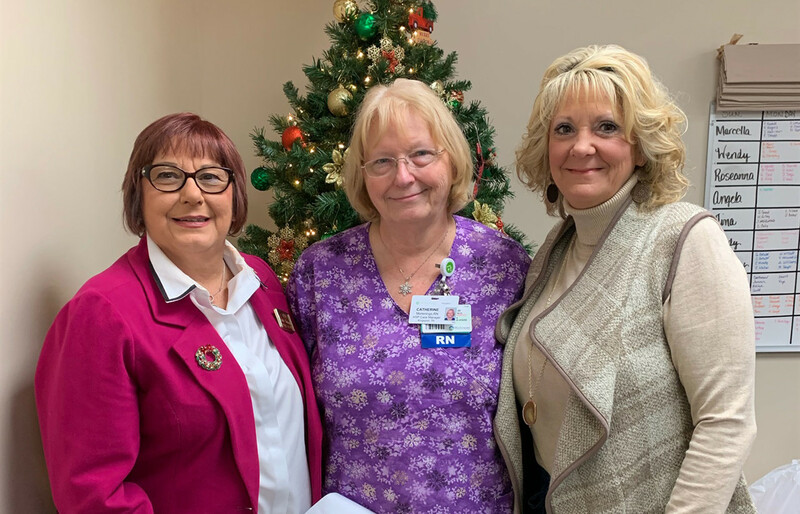 PATSY MOSLEY, RN with Smoky Mountain Hospice in Kingsport, TN is the winner of the December 2018 Hospice Caregiver Award, presented by Oak Hill Funeral & Cremation Services, Kingsport, TN. “When my father, Buford, became a patient of Smoky Mountain Hospice, Patsy was his RN and made home visits on a regular basis. After a while, she transferred to an administrative position. The entire family came to love and respect her and Dad asked if there was any way she could still be his nurse. Patsy said yes! She was always available to our family no matter the day or time. 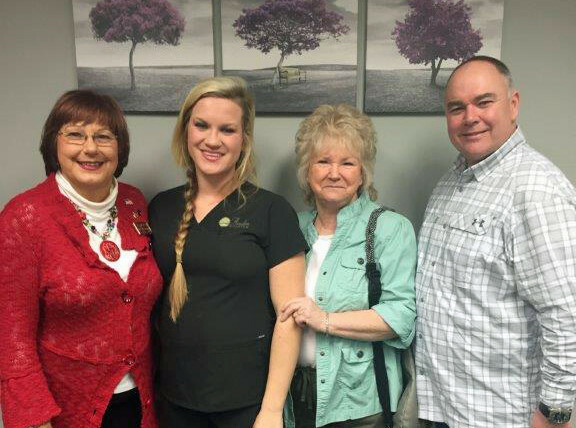 Patsy went above and beyond, not just for Buford’s wants and needs but also for the entire family. She is so special. Words are inadequate. Congratulations Patsy for a job exceptionally well done!